In order to keep pace with the grand advances in science and technology, the Department of Engineering was established in 2008. The department is dedicated to research, education and overall excellence in the various fields of Electronics Engineering, Mechatronics, Telecommunication Engineering and Computer Engineering. 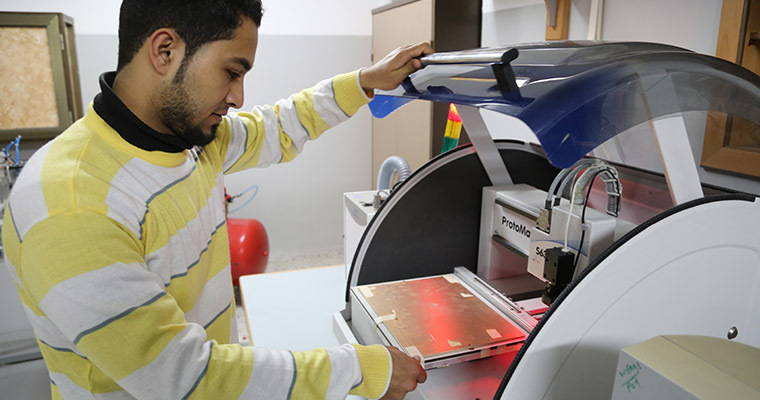 We focus on strengthening the students' capabilities by the continuous improvement of the department’s laboratory facilities, industrial attachments and students' working on various small projects during their studies. The department further focuses on responding to the needs of our society by producing uniquely qualified professionals for rewarding and successful careers in a diverse range of engineering fields to become part of the industry and research organizations at the national levels and beyond.